Please join ArtisTree Gallery in welcoming these works of humanity and connection. 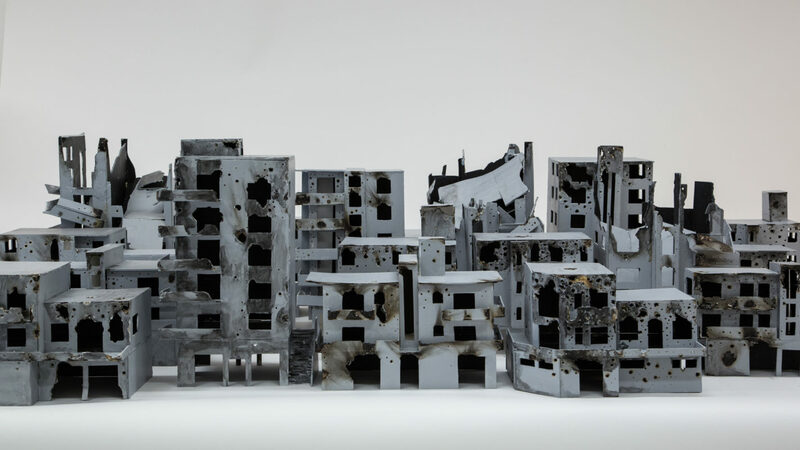 The Syrian Experience As Art is a traveling exhibition from Castleton University representing the work of twelve Syrian artists individually responding with creativity to loss and destruction. Please join ArtisTree Gallery in welcoming these works of humanity and connection. ArtisTree Community Arts Center & Gallery Purple Crayon Productions are non-profit organizations committed to making creative expression and its appreciation accessible to our community.committed to making creative expression and its appreciation accessible to our community. Our community arts center provides the opportunity for a joyful, meaningful, and satisfying experience of the visual arts, movement, theatre and music through our year-round classes, workshops, performances, gallery exhibits and events. We encourage our local community members of all ages and abilities to participate in a wide variety of art processes. Our offerings are designed to nurture each person’s inherent creative capacities and raise the possibility of art as a vital force in an individual’s overall growth and expressive abilities. Next Next post: Terre natale : ici, là-bas, quelque part ?